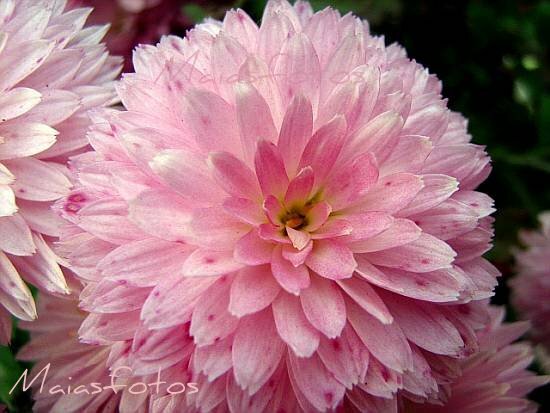 Lovely pink pompom chrysanthemums with their short, spotted petals are one of the last color shows of autumn. For voting on Macro Flowers Saturday, please go to the previous post. I love the spots of darker pink on the petals!